A Lincoln Square cellular store was targeted in an attempted robbery Friday evening, but the offenders fled empty-handed, police said. The Boost Mobile at 4774 North Lincoln reported the robbery attempt around 8:20 p.m.
An employee told police that a black man in his mid-20’s with multiple tattoos on his face tried to rob the store, but he appeared to get spooked and suddenly fled eastbound on Lawrence. The robber, who was wearing a red hat and a blue t-shirt, may have been assisted by a black female in her mid-20’s who was wearing a purple shirt, gray leggings, and glasses. Police Beat #1911, which includes the Boost Mobile store has recorded 19 robberies so far this year. That’s up from 14 robberies at this point in 2016. 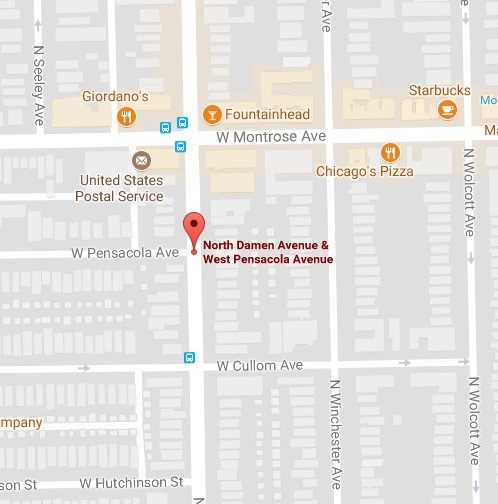 A North Center man was robbed at gunpoint in the 2000 block of West Pensacola early today. The victim told police that two men with their faces covered threatened him with a gun and took his cash and wallet around 1 a.m. 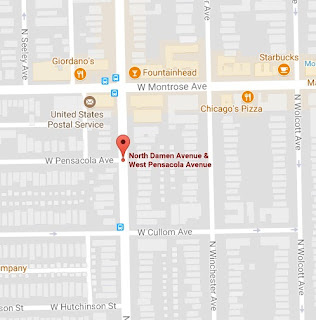 Both offenders jumped into a dark-colored sedan which was last seen driving southbound in the alley behind Damen. They are described as young black men in their late teens who were wearing dark clothing.